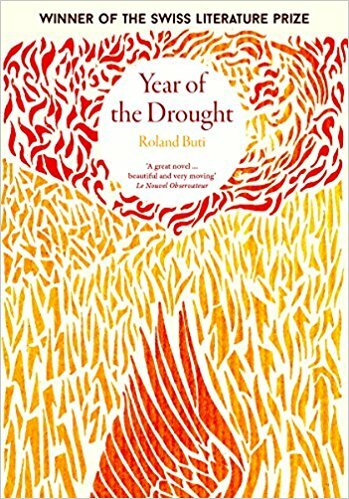 The Year of the Drought, in Roland Buti’s novel (now translated by Charlotte Mandell, his first to appear in English), is 1976. Auguste, or Gus, is thirteen years old – only a few years older than I would have been that year – and living on a farm with his mother, father and older sister, Lea. His father has invested in hundreds of chickens which he plans to fatten and sell but the intense heat is causing an ever-increasing mortality rate. The real threat to the family, however, arrives in the form of Gus’ mother’s friend, Cecile. The oppressive weather, and Buti’s decision to end each chapter not so much with a cliff-hanger but with a moment of heightened emotion, creates a sense of impending doom unusual for a coming-of-age novel. When a stranger does arrive she is both ordinary and extraordinary: a woman who works in the Post Office yet seems to possess a sophistication and glamour absent in the countryside. She initially charms Gus, when she meets him by the roadside, with her enthusiasm for his drawing, his dove (which he is caring for while its tail feathers regrow) and even the farm horse, Bagatelle’s, defecation. Neither the drought nor his wife’s love can be controlled. Similarly, his wife cannot control her passion. The heat comes to represent that passion – oppressive, unspoken – which is expressed when they spend time together by the stream, an Edenic, out of the world moment. This is echoed in a sexual encounter Gus has with Maddy shortly after when together they sneak into the town reservoir. (There are many other examples of this, from Bagatelle’s refusal to move from a glade where he has gone to die to Rudy, a farm labourer with Down’s syndrome’s belief that every woman who visits the farm is the ‘one’). Year of the Drought is a novel of many vivid scenes (clearing out the dead chickens will be hard to forget) which Buti manages to imbue with a power beyond his words. He takes an ordinary family and places them under extraordinary stresses, the father in particular taking on almost tragic hero proportions. An English language debut that is well worth seeking out. You are currently browsing the archives for the Roland Buti category.